The 2017 Australian Pool Nationals were held at Sleeman Sports Complex in Brisbane from Saturday 29 April to Monday 1 May. The competition was the largest national pool freediving competition ever held in Australia with 44 athletes. Of these, 15 were women, making it the largest showing of female athletes thus far and moving the AFA closer to its 50-50 gender balance goal. In addition to 30 Australians who represented clubs from Brisbane, Sydney, Melbourne, South Australia, Curtis Coast, and the Gold Coast, there were also athletes representing Singapore, France, Poland, Germany, South Korea, China, New Zealand, and Venezuela. 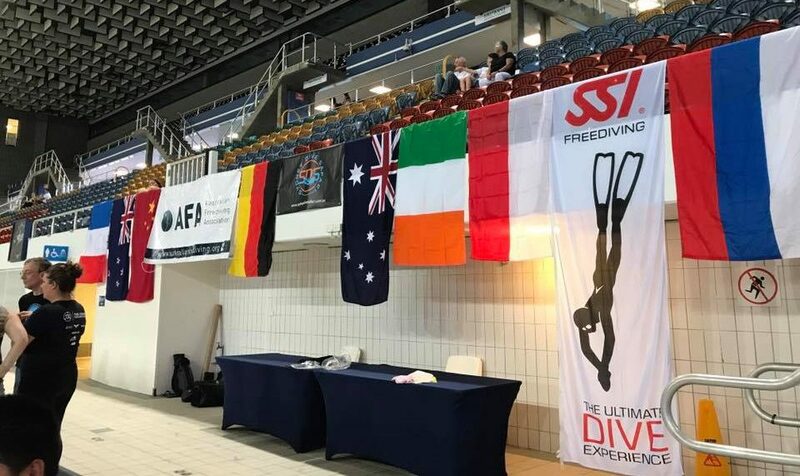 Many of them are residents in Australia and some travelled from overseas to participate in the competition: DYN/DNF world record holder Mateusz Malina (Poland) made a special appearance and completed an exhibition dive. 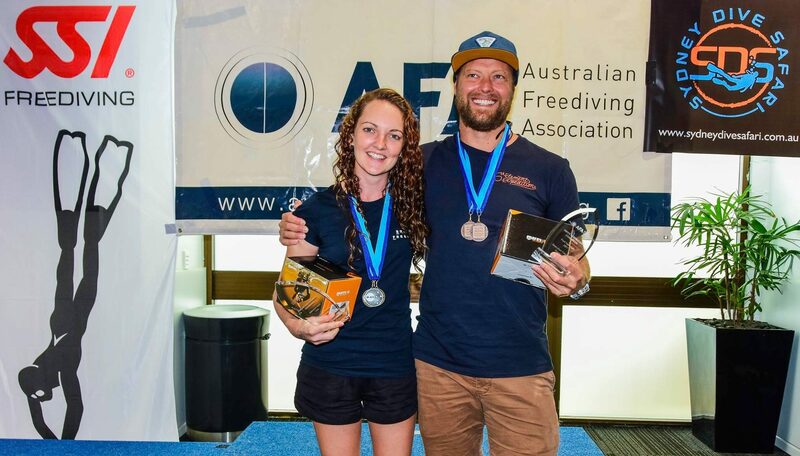 The overall female and male winners were Amber Bourke of Australia and Pierre Crubillé of France respectively. 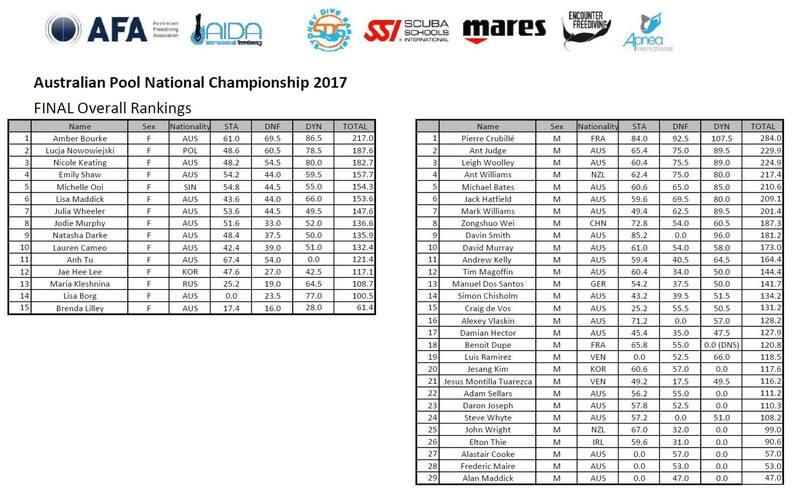 They both had very clean performances for the three disciplines in the competition, Static Apnea, Dynamic No Fins, and Dynamic with Fins. The Australian Pool Champions 2017 titles were awarded to Amber Bourke and Ant Judge. The race for the men’s national champion title was tight among a few athletes including Ant, Leigh Woolley, Michael Bates, and Jack Hatfield who completed consistently clean performances across the three disciplines. It was exciting to see so many Australian athletes competing for this title.